From the heart of the Salnes Valley come our oldest and most carefully selected Albariño grapes. From this fruit we take the grape skins that are used to distil into our eau-de-vie. After careful pressing of the grape skins we apply a slow, controlled distillation using traditional copper stills and methods that have been used for generations. The result is a fine after dinner drink that may be served either naturally or in a well-chilled glass. It is also a great accompaniment for coffee. An eau-de-vie of extraordinary quality made from our finest Albariño grapes is offered in 50cl bottles. 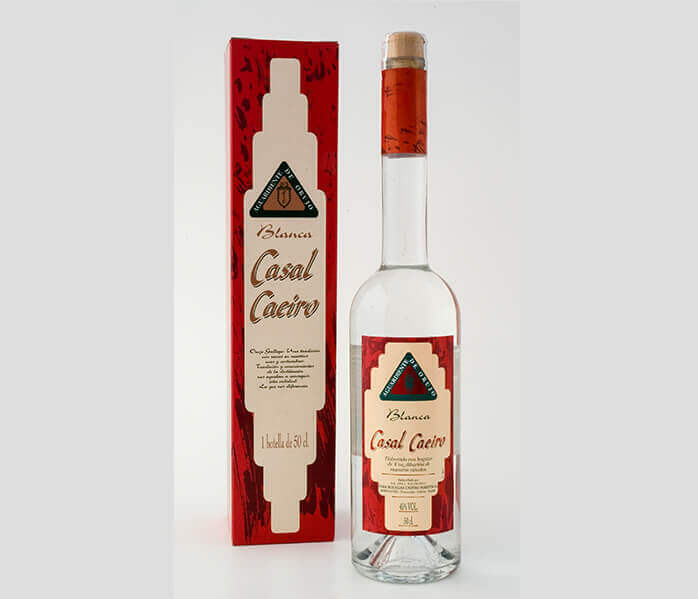 Using our natural white eau-de-vie as a base, we blend this with toasted/caramelised sugars and natural herbs to produce a luxury liqueur called Casal Caeiro. The maceration process involved adds subtle nuances that bring to mind Galician traditions and pleasures, making this a product of character and distinction. 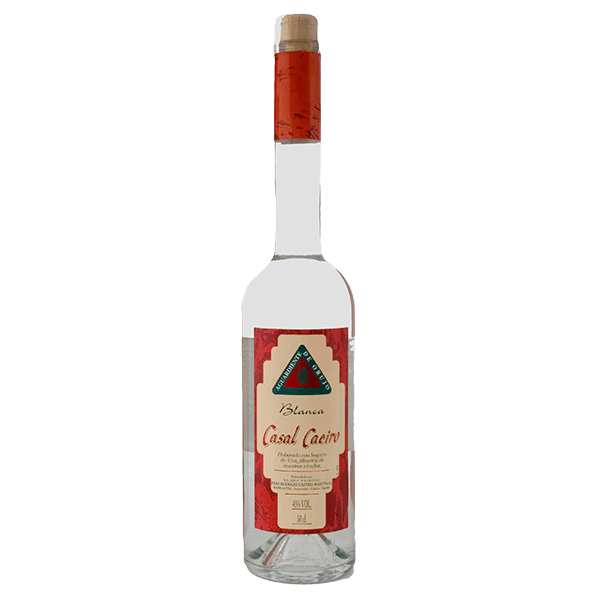 It is essentially sweet and yet delicate, altogether an eau-de-vie of the highest quality. Made using traditional methods used in the Salnes Valley over generations, this product is offered in bottles of 50cl. Using our natural white eau-de-vie as a base, our herb liqueur is made using delicate maceration methods over a long period. The resulting product has complex aromas and flavours reminiscent of wild fruits and flowers, typical of the indigenous grape variety from which they originate. It is long, smooth and fruity on the palate, again reminding us of fresh natural produce. Drinking is a real pleasure, and transports us back to the history and traditions of Galicia. Our herb eau-de-vie is offered in 50cl bottles. A new wine created for the 2002 vintage that proudly carries our family name. As we have only a limited capacity for the production of our Barrica selection, the balance of the wine produced from our home vineyards, is put aside for the Castro Martin label. The sophisticated label design is particularly aimed to suit the discerning restaurant customer, and we are confident that this specially selected blend is worthy of the name that it carries. Why not try a mixed case? If you prefer to sample a few different wines or perhaps send a gift, then why not make your very own personalised selection – simply click on the link to choose your wines. Would you like to order more than 120 bottles? If you need to make a larger order, perhaps for some special occasion, then use the link below to contact us directly, when we may be able to offer you a more competitive package.